In a nice change of pace, there’s finally some positive news to come out of the mud-bog tractor-pull, also known at Maryland’s 6th Congressional District Republican primary. It’s refreshing. Like that first day in April that you can open your windows in the evening. Or like sitting outside in your man-shed on a stool, wondering what tool you can justify purchasing to your wife. Dan Bongino, the Republican candidate that came within 2,700 votes of beating John Delaney in 2014 has formally endorsed Frank Howard. As many of you already know, I was Dan’s Frederick County Coordinator during this election cycle. And considering my day job, I ended up spending many hours ensuring that our IT infrastructure was working. You need computers that work when you are making 40,000 phone calls. Dan Bongino, the former secret service agent and 2014 Republican nominee for Congress in Maryland’s 6th district, endorsed Frank Howard in a crowded GOP primary field. Howard’s campaign released Bongino’s quote which will be featured in direct mail and automated phone calls as the primary election approaches April 26. 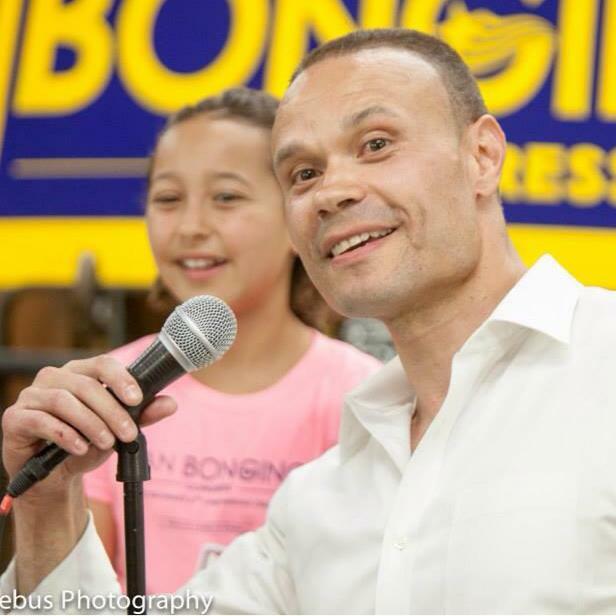 Bongino defied political expectations nearly two years ago, coming within a couple of thousand votes of defeating incumbent Congressman John Delaney. Howard served as Bongino’s campaign chair in 2014. The Dan Campaign mobilized a lot of people across the 6th District during the campaign. Hell, he even somehow convinced my wife Elyse to get out to the campaign office to help with operations. I vividly remember Elyse going to the campaign office on September 25th, 2014, a few days after Zane’s “due date” and “Speed Racer” practically having an aneurysm, worried that she’d go into labor right there. Let’s just say that he was overruled by Executive Order. And Zane was born the next day. There’s some differing opinions about the effectiveness of endorsements. I guess that’s putting it nicely. Some people think they matter, some do not. We shall see April 26th.